The Abbey has an exceptional site in the heart of the Eastern Townships. 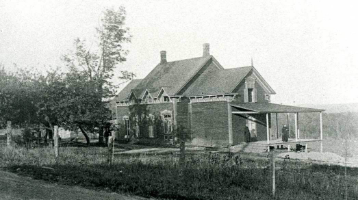 Its architecture was built slowly over time during the 20th century. The two monks’ wings were built in 1941 and thus are the oldest buildings. They are the work of Dom Paul Bellot, a monk from the Abbey of Solesmes and a renowned architect. 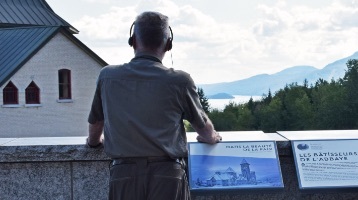 Dom Paul Bellot visited Quebec to collaborate on the final construction of Saint-Joseph’s Oratory in Montreal. At the same time, he stayed at Saint-Benoît-du-Lac and was asked to draw up the plans for the monastery. Two of the wings that he designed were built. The Saint-Benoît Chapel (1947), the guest wing, the bell tower and the crypt of the church (1962) were built according to the plans of Dom Claude-Marie Côté. He was a monk of Saint-Benoît-du-Lac, an architect and a disciple of Dom Bellot. 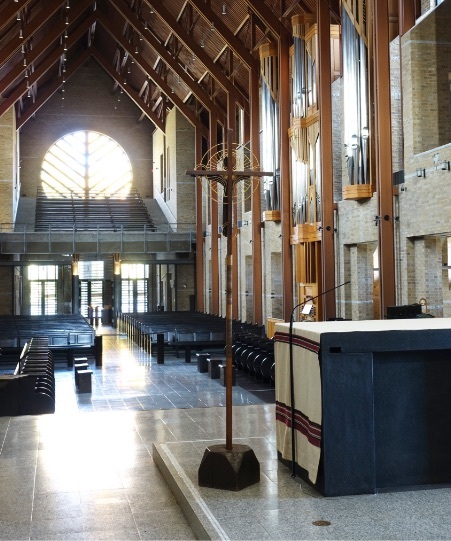 The Abbey church is the work of Mr. Dan Hanganu, a Romanian-born Canadian architect. It was dedicated in 1994. The church is the most important place in the monastery, its heart. All of the other buildings are organized around it. 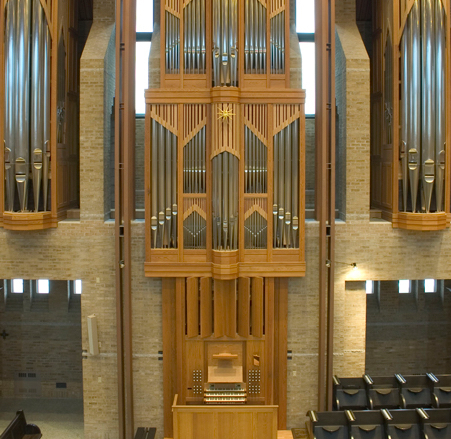 The Abbey organ, with its German aesthetics, is the work of Karl Wilhelm, a Quebec organ builder. It has 42 keys on three keyboards and one pedal board. It was inaugurated in 1999. 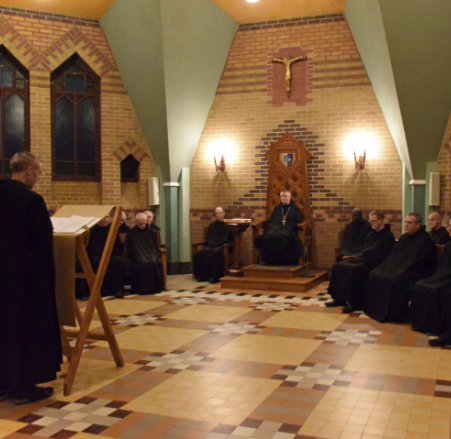 We often gather in the chapter room to listen to Father abbot while he comments on the Rule. It is also where some communal meetings take place. Our library, located under the Abbey church, includes works on theology and philosophy, and also books on history and literature. It contains around 70 000 volumes. The common room is where we come together for our daily recreation. It is also where we attend sessions for our continuing education. We eat in complete silence in the Refectory while a lector reads aloud. Occasionally, guests are invited to eat with us. 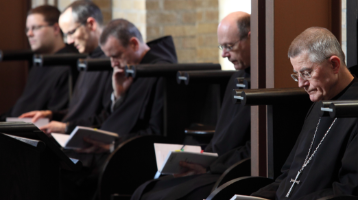 Monastic life comprises both solitude and communal life. In our cell, from the Latin word cella, we sleep, pray and study. 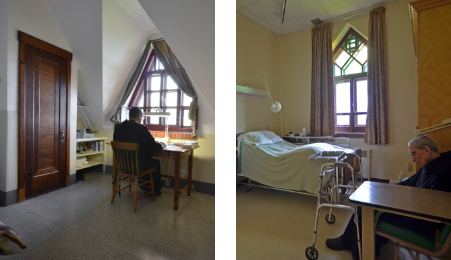 Our monastery includes a four room infirmary. In his Rule, Saint Benedict insists on the importance of taking care of sick brothers and asks that “they be served as if they were Christ in person” (ch. 36).